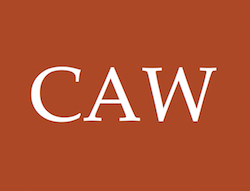 The Colonial Americas Workshop (CAW) is a seminar series for Princeton students and faculty interested in the study of the colonial, imperial, and revolutionary history of the Americas, broadly construed. The series brings together scholars from a wide range of sub-disciplines for the purpose of sharing scholarship, presenting student and faculty research, and discussing problems and trends in colonial history. The series also seeks to create more opportunities for informal interaction between graduate students and senior scholars. For the 2018-19 academic year, CAW will be organized by BJ Lillis, Shelby Sinclair, and Geneva Smith. The faculty adviser is Professor Wendy Warren. It is funded by the Center for Collaborative History and is cosponsored by the Program in American Studies and the Department of English. View past CAW seminars in our events archive.